There have been numerous audio dramas based on the Bible over the many years the medium has been around. There have also been several that have focused on the life and ministry of Jesus Christ. However, none of these have done what one recent production has: make you a character in the story! That's exactly what Come And See does. This show has been talked about before on the podcast, but just in case you haven't heard those discussions, here's some information on the show. 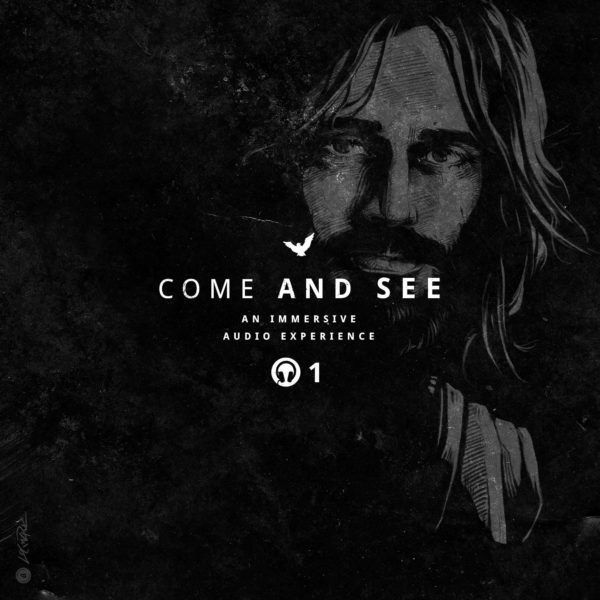 COME AND SEE is a three part audio project designed to transport listeners to the time of Jesus and allow them to feel like they are very much in the middle of each scene, witnessing the events firsthand. Every recorded saying and every recorded deed of Jesus in the four gospels are part of the story while creating an overarching narrative that provides the historical and cultural context. The show was created by Boyd Barrett. He's also the writer and director. Actors like Karim C. Kronfli (Jesus) and Holly Adams (Mary, the mother of Jesus) bring the people from the Gospels to life. Come And See also has a podcast where the creator of the show shares behind the scenes info and other related items. Plus, you'll get to hear an interview with Boyd Barrett on the next installment of the ATC podcast! Stay tuned for that. If you would like to get a taste of what's in store for you, the first chapter of Volume 1 is available for free on the CAS website. If you like what you hear, you can pre-order the entire series, Volumes 1-3. The first 4 chapters of Volume 1 are already available to those that pre-order. When the series is finished, there will be about 18 - 20 episodes (or chapters) of about 25 minutes each. If you preorder now, you will get all 3 volumes for $20. Once all 3 volumes are released, they will be $30. Plus, if you use the code ATC at checkout, Come And See will share a portion of the sale ($5) with Audio Theatre Central. Not only will you be getting some great audio drama, but you'll also be helping the podcast you know and love keep being made! You can visit the website for the show and their Facebook page.